Joseph Kori and Judy Wangui were on Tuesday arraigned before a Kiambu court, facing charges of murder. The man and his girlfriend are accused of conspiring, planning or executing the murder of a 36 year old Mary Wambui Kamangara who was Kori’s wife. Wambui was a daughter to a former Nakuru MP. Judy Wangui used to work for the couple at a hardware shop in Kahawa West, a successful settlement off the road to Kamiti in Nairobi. It’s during that period that Joseph is suspected to have started his extramarital affair with her. According to the charge sheet, Judy lured the deceased for a lunch date at Homeland inn along Thika road on Saturday afternoon. 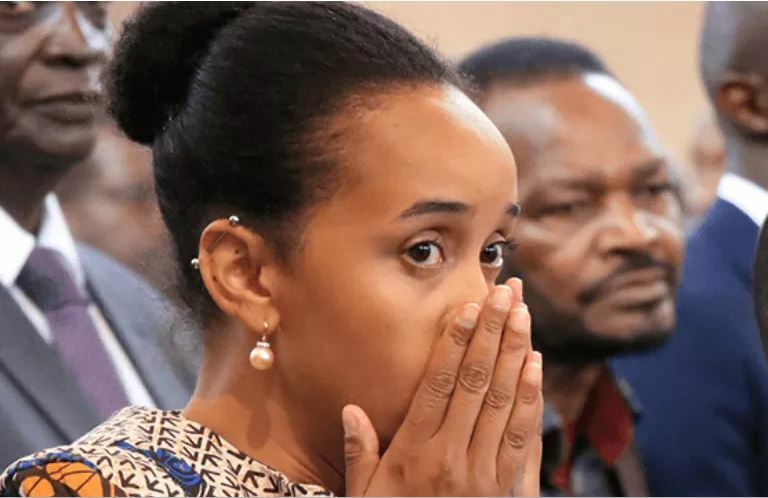 At around 5pm, after they had lunch together, Wambui is said to have convinced Wangui to take her to her (Wangui’s) house at Fourways Junction. They drove together in Wambui’s car, a white Mercedes Benz. Neighbours said Wangui has lived at Fourways, where the monthly rent is about Sh60,000, for two years. Residents said a two-bedroom unit like the one she lives in costs roughly Sh12 million. On arrival they found Kori sitting comfortably inside Judy’s house, where Wambui saw her husbands photos hanging on the wall. This confirmed her worst fears, that her husband had been having an affair with her former hardware employee. The late Mary Wambui was reported missing , before her body was discovered on Sunday at Courtesy beach within Juja subcounty with a deep cut on one side of her head and multiple bruises on both hands, an indication that she had struggled before she died. Joseph Kori was arrested at the scene where his wife’s body was found on Sunday morning. Police say they saw him walk in as they collected evidence from the dam. Asked why he was there, he claimed he was searching for his wife, who had gone missing the previous night. He also claimed that he had decided to visit the scene after he saw a post on the Kilimani Mums Facebook page indicating that a woman’s body had been found in the area. After his arrest, he led detectives to Wangui’s house where a search was done. The two suspects are expected to take plea on 13th February when the case will come up again in court.